The Okatsune Bud Shears are made of hot hammer-forged “Izumo Yasuki Steel” for maximum sharpness and cutting power. 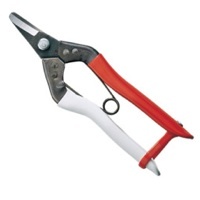 Long lasting with a blade thickness designed for pruning the task at hand. The Curved cutting blades make close pruning cuts possible.